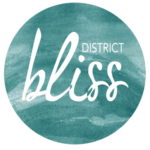 District Bliss Blog | Inspiration, DIY Workshops, Networking, Business, more! We love doing styled shoots before – or even after – our Vendor Socials; it just seems like a natural pairing! If our Participating Vendors are going to put together such a lovely Vendor Social, it’s a huge bonus to have a crazy-rad photo shoot alongside! May’s Vendor Social at Kendra Scott in Fairfax, VA was a blast! We’re crazy for Kendra! Check out the snaps from our LA Vendor Social at Kendra Scott! This menu is fit for royalty! Check out Eleven Courses Catering’s Royal Wedding Menu Predictions! 10 Flooring Ideas You’ll Surely Love For Your Home! Last call ’til Fall! Kick off summer at our VA Vendor Social TOMORROW!